Henny Portman just published a review of Manage Your Project Portfolio. See his review at Review: Manage your project portfolio. He included a terrific image (go to the review to see it) about how you can think about the entire process, from soup to nuts. 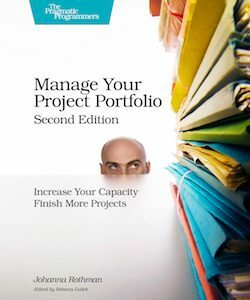 If you, too, struggle with too many projects, read Manage Your Project Portfolio: Increase Your Capacity and Finish More Projects, 2nd ed.